The improvement and miniaturisation of computers in the 1980’s let to an explosion in the amount of data that was readily available to share between workers and devices around the world. Every day we may each create 1000s of activity records in a variety of places, be it using a Social Media platform or Search Engine, visiting a website, taking money out of cash machine, getting on a bus, making a phone call, buying lunch the list goes on. While data is easily captured, making sense of it is not always so easy. Companies that tend to be doing well will probably have already embraced “digital transformation” to become a data company, and use information to gain a competitive advantage. Making sense of the available data that can be captured in house or bought online can be a real challenge, as can choosing whether to purchase data from online sources like post code or IP address data. Choosing which platform to use, and whether to put your data in house or in the cloud can be another daunting proposition, we have experience of both and can talk you through the pros and cons of each. If you are thinking about setting up or overhauling your data processes and want an informal chat to go through what your options are, or if we help then feel free to get in contact free of charge, or read on below. In light of some of our experiences, we have written a selection of articles on SQL Server Maintenance, using SQL Server dates. using SQL Server Functions, SQL data cleansing and a selection of tools, which have been implemented independently in companies around the globe. Our work prices typically start at around £50 per hour, dependent on the type and length of work required. 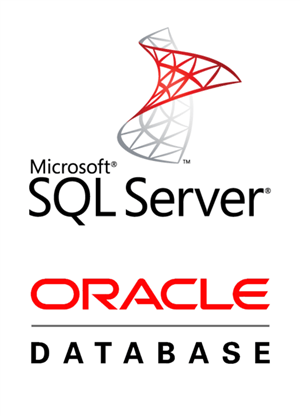 SQL Server is generally our platform of choice, and the only platform used in any of our products. We have built up an expertise in using Integration Services (SSIS), Analysis Services (SSAS) and integrating them into Reporting Services (SSRS) and PowerBI for reporting purposes, as well as setting up and maintaining SQL Server in various environments. Arvato Financial Services (Gavin Clayton) – SQL Server, database and reporting setup, maintenance, and optimisation, along with some web services. Institutional Protection Services – London based financial company who required database upgrade from MS Access to SQL Server, Web Application development and other IT functions including setting up their office network, servers and email services. Ousia CMS – Our in house Content Management System is based on a number of Microsoft technologies, and can be run in SQL Express, SQL Server Standard (if you need advanced CRM features) or Azure SQL Database. We have been involved in a number of projects using or involving Oracle, for companies like The NHS, Unilever and Blake Morgan LLP. We have generally worked on integrating them into an SQL Server data warehouse, using PL-SQL and OpenQuery. IOW NHS Trust – Planning and development of unified data warehouse encompassing 10 systems and various technologies. We have worked with a number of other database systems including SAP, OpenEdge (previously known as Progress), NoSQL, MySQL, Microsoft Access and various Cloud Based Data Services, We will happily get involved in integrating any of these sources into a data warehouses or setting up reporting off of these systems.